Registration Fee Registration Fee For One Time Registration (Revised with effect from 01.03.2017 vide G.O. (Ms).No.32, Personnel and Administrative Reforms (M) Department, dated 01.03.2017). 1. First, the selection will be made for regular 148 vacancies following the rule of reservation. 2. Next, the selection for 10 shortfall vacancies will be made from among the SC/SC(A) applicants only. The reservation for women, Differently Abled Persons and Ex - Servicemen etc. will not be applicable for the recruitment of shortfall vacancies [Section 27(h) of the Tamil Nadu Government Servants (Conditions of Service) Act, 2016]. system by paying Rs.50/- before 01.03.2017 and having validity and those who have registered for One-Time Registration system are exempted from paying the registration fee for this recruitment. Applicants have also to pay the service charges applicable to the State Bank of India / Indian Bank. Applicants can avail exemption from paying examination fee as per eligibility criteria. Offline mode of payment in the form of demand draft / postal order etc. will not be accepted and the applications forwarded with such modes of payment will be summarily rejected. (For further details, refer para 2(13 - 23) of “Instructions to Applicants”). Note: (i) “Others” [i.e Applicants not belonging to SCs, SC(A)s, STs, MBCs/DCs, BCs and BCMs] who have put in five years and more of service in the State/Central Government are not eligible even if they are within the age limit. CERTIFICATE OF PHYSICAL MEASUREMENT A certificate containing the following particulars should be obtained from a Medical Officer, above the rank of an Assistant Surgeon appointed by the Government to Government Medical Institution on or after the date of Notification (04.07.2018) and submit the documents when called for by the Commission. 1. Applicant will be required to undergo a Physical Test consisting of a walk over 25 Kms and 16 Kms to be completed in four hours by Male and Female applicants respectively, which will be conducted by the Principal Chief Conservator of Forests before admission to Oral Test. A certificate to this effect must be produced from a Gazetted Forest Officer nominated by the Principal Chief Conservator of Forests on his behalf (Walking Test will be conducted only at Chennai). 2. An applicant must satisfy a Medical Board in Chennai as to his/her physique, fitness and capacity for rough outdoor work in the Forest Department. As per the Special Rules governing the appointment to the post of Forest Apprentice, the applicants with Degree qualification in Forestry subject will be given absolute preference. 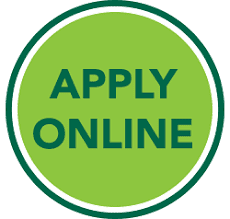 Only if sufficient applicants with Forestry subject are not available for selection against any vacancy/ vacancies, the applicants with other Degree qualification can be considered for selection process towards those remaining vacancies. The Commission reserves the right to hold the examination only to the Forestry subject graduates, if sufficient number of candidates in each communal category have applied and to admit specific category of candidates with other Degree qualification where Forestry Degree holders are not available as per the requirement in such communal category or categories. Importance of Agriculture in Indian Economy and its sectoral relationship - Agricultural Development through five year plans in India and Tamil Nadu - Growth pattern of crops in India and Tamil Nadu in terms of area, production and productivity - Government Agricultural Policies – Agricultural development through NITI AYOG – import and export – role of NSC, FCI and PDS. Soil - Soil structure - Factors influencing soil structure - Physical and Chemical properties - Effect of nutrient availability and plant growth - Problem soils and their management - Soil survey - its objectives and scope - Soil fertility and productivity - Dry farming - Rainfed agriculture - Conservation of soil and water - Watershed and waste land development. Land use pattern and planning - Size and distribution of holdings - types and systems of farming - Water resources development and management - Command area development - Ground water Development and Conjunctive use - Water use efficiency - Quality of irrigation water - Its effect in soil and crops - Management of poor quality water for crop growth. Importance of pest, disease, nematodes and weed management in agriculture – categories of pests, diseases, nematodes and weeds - pest and disease surveillance and forecasting weather on pest and disease incidence - Symptoms of damages and control measures of pest, disease and nematodes of major crops in Tamil Nadu - Integrated pest, disease and nematode management in crop production - Pesticides and their use in IPM – mode of action - Pattern - plant protection equipments and their use - Plant quarantine. Storage pests, disease and nematodes and their management. Importance of biological control in pest, disease and nematode management. Weeds - Major weeds and their control. 1. B.Sc., Plant Biology and Plant Biotechnology awarded by Bharathiyar University G.O (1D) NO.268 Higher Education (H1) Department, dated 20.09.2012. 2. B.Sc., Plant Biology & Plant Bio Technology of Madras University G.O.117, Higher Education (K2) Department, dated 02.07.2013. 3. B.Sc., (Botany) (Vocational Bio Technology) awarded by Periyar University G.O. (Ms)No.112, Higher Education (K2) Dept, dated 18.07.2014. 5. B.Sc., Plant Biology & Plant Biotechnology awarded by Bharathidasan University and B.Sc Plant Biology & Plant Biotechnology (offered by St.Joseph’s College (Autonomous)) Trichy affiliated to Bharathidasan University G.O. (Ms)No.171, Higher Education (K2) Dept, dated 30.09.2014.